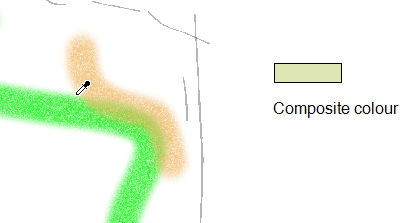 The Paint tool only paints closed zones and vector drawings. 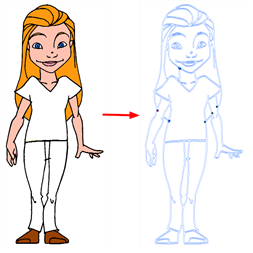 If you have gaps in your lines, you must close them using either the Brush, Pencil, or Close Gap tools. 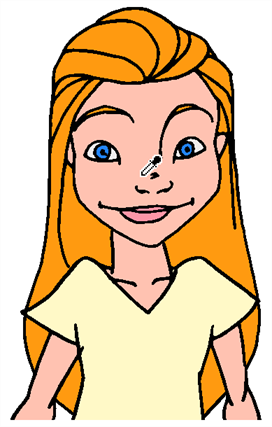 NOTE: The Paint tool only paints vector drawings. 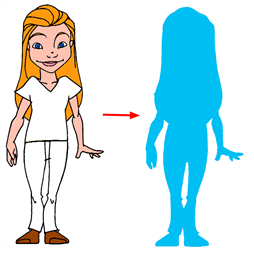 To colour bitmap drawings, use the Draw Behind mode—see Draw Behind Draw Behind. In the Timeline or Thumbnails view, select the panel and layer on which you want to paint. In the Tools toolbar, click the Paint tool, press [Alt] +[I] or select Tools > Paint from the top menu. In the Stage view, start painting. You can either click to paint a zone or trace a lasso or marquee selection to paint several zones at the same time. When you select the Paint tool, its properties and options appear in the Tools Properties panel. The Lasso and Marquee options let you choose how you will select areas to paint by clicking and dragging the cursor to paint on drawings. The default selection mode is Lasso. Whichever mode you choose, everything inside the selection will be painted. Lasso: Lets you draw a selection are around the zones to be painted. Marquee: Lets you draw a rectangle selection box. NOTE: Hold down the Alt key to switch to the opposite mode of your selection. ‣ In the Tool Properties panel, click the Paint tool. You can also find these tools in the Tools toobar and in the Tools menu. The Automatic Close Gap option has four modes available: No Close Gap, Close Small Gap, Close Medium Gap, and Close Large Gap. The automated gap closing should be done using the zoom function setting of the Stage View. If your eye does not see the gap, Storyboard Pro will not either. 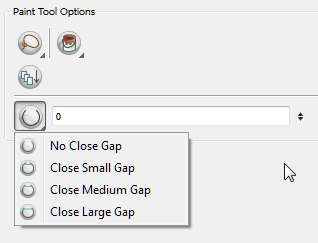 ‣ In the Tool Properties panel, click the Automatic Close Gap button. 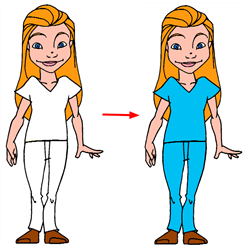 While working in the Stage view, you can use the Dropper tool to pick a colour from your drawing without going to the Colour view. When picking a colour with the dropper, the colour is not added to the swatch list. It is becomes the current colour. 1. In the Tools toolbar, select the Dropper tool, press [Alt] +[D] or select Tools > Dropper from the top menu. ‣ If you are using another drawing tool, such as the Paint tool, you can temporarily hold down the [D] key and click in your drawing before releasing the key to pick your colour. Once you let go of the key, you will return to previous tool you were using. 1. In the Tools toolbar, select the Dropper tool, press [Alt] +[D] or select Tools > Dropper from the top menu. When enabled, the dropper picks the RGBA values of all the layers combined. When disabled, the dropper picks the RGBA value from just one layer at a time.